Boost & Burn is a supplement distributed by a UK-based company called Skinny Minnies. Although the name hints the product may be designed specially for women, this is not the case. 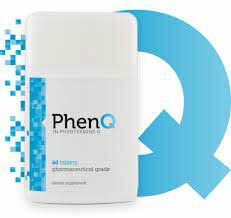 The capsules can be used by men and women alike. Boost & Burn is a well-chosen name because the capsules are designed to be used as a diet pill, but also double as an energy boosting supplement that can be taken by people who wish to give a little more in the gym and power-up their workouts. Skinny Minnies appears to be a reputable company, but the amount of information they provide about their products is sparse at best. The Boost & Burn sales page only contains a one-sentence product description followed by bullet point list stating the three benefits customer should expect. What is Skinny Minnies Boost & Burn and How Does it Work? According to the aforementioned product description, Boost & Burn aids weight loss by boosting the metabolism. The metabolism governs the rate at which the body burns calories. If it becomes faster more calories will be burned and, if the supply of food-provided calories runs short, the body will begin burning its stores of fat. However, the fact that the body is using more calories will not result in weight loss if the diet is providing too many calories to burn. Caffeine Anhydrous (200mg): Caffeine is renowned for its abilities to boost energy levels, and each capsule provides a similar amount of caffeine as would normally be obtained from two cups of coffee, so anyone who takes two capsules as a pre-workout aid should find Boost & Burn supports an improved workout. Scientific research shows caffeine also has the ability to speed up the metabolism and encourage thermogenic fat burning, but some people have a low tolerance to caffeine. This will make Boost & Burn unsuitable for anyone who has this problem. Citrus Aurantium (150mg): An extract taken from a species of citrus fruit. 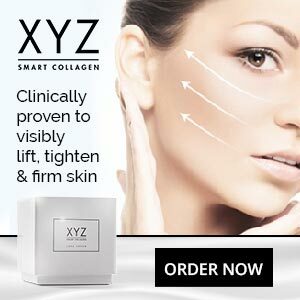 The active ingredient is an alkaloid called synephrine. 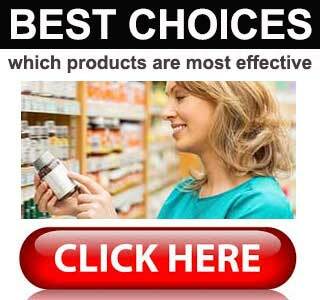 It works both as a stimulant and as a fat burner. During emergencies, medical personnel sometimes inject pharmaceutical grade synephrine into patients suffering from shock. It is always taken orally when used as a weight loss aid and its reputation as a metabolism booster can be supported by scientific proof. Niacin (16mg): Also called Vitamin B3, niacin is generally added to weigh loss supplements because it is known to support healthy metabolic function. It also has value as a pre-workout aid because it has the ability to boost levels of human growth hormone and improve vasodilation. Green Tea (10mg): Most weight loss supplements contain a quantity of green tea and not without good reason. It’s packed full of health-enhancing antioxidants and also has proven fat burning abilities. Guarana (10mg): A fruit extract that provides the body with a slow release of caffeine. Guarana is good for providing long-lasting energy and is a common inclusion in energy drinks. N-Acetyl L-Carnitine (2mg): The results of a study conducted at the University of Catania (Italy) suggest supplementation with l-carnitine can support weight loss and reduce physical and mental fatigue. The dose used in the study was the same as that provided here, so this is a good inclusion. 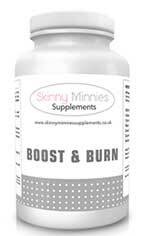 Skinny Minnies Boost & Burn is intended to be used as part of a healthy, active lifestyle. When used as a weight loss aid, one capsule should be taken two times per day and it is important to leave a gap of four to six hours between each dose. If Boost & Burn is being used as a pre-workout supplement two capsules can be taken together, 45 minutes before training is commenced. No more than two capsules should be taken in any 24-hour period. Skinny Minnies does not mention if side effects are likely to be an issue, but the company points out the capsules are not intended for women who are pregnant or nursing a child. People who are under medical supervision or using medication are advised to consult their doctor before starting to supplement with Boost & Burn. Boost & Burn is only available from the Skinny Minnie online store and a 60-capsule bottle retails at £20 (USD$ 24.50). Skinny Minnies Boost & Burn contains a blend of ingredients that should be able to provide the promised boost to the metabolism and increased energy levels, so it is likely that anyone who uses the pills in conjunction with diet and exercise will see an improvement in their results. Counting calories and saying “no” to favorite foods and drinks can be hard work though. Boost & Burn does not contain any powerful appetite suppressing ingredients to make this easier. In this way, it does not compare well to many competing supplements, so this is a product that is better suited for people who have strong enough will power to go it alone.